The US Prelinger Archives is one of the world’s largest collections of industrial, public information, educational, advertising and amateur films. 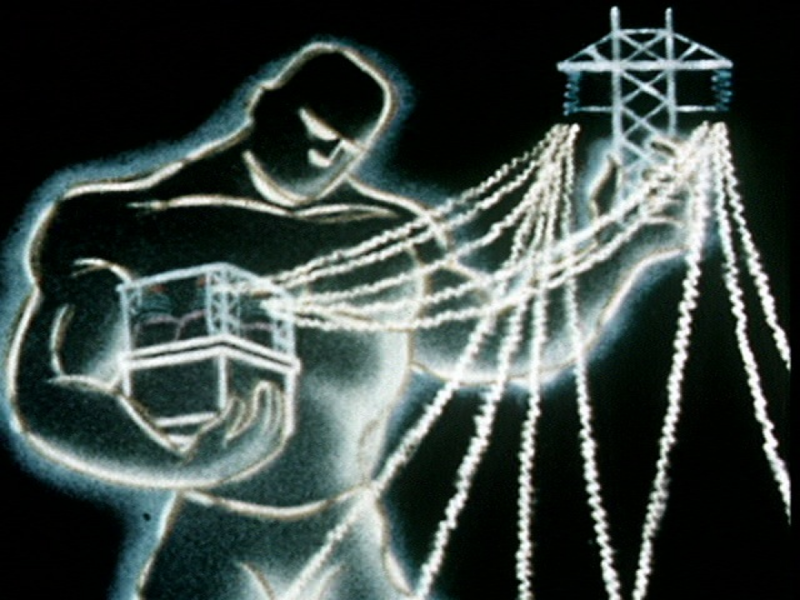 Dating from 1927 to 1987 it includes films across the energy spectrum ranging from the oil, electrical, coal and nuclear industries, through to examples of human energy and natural disasters, including the animated classic A is for Atom. We were delighted to welcome Rick Prelinger, founder of the Prelinger Archives in San Francisco to Newcastle, to present an incredible selection of short films on the theme of energy. Prelinger Archives was founded in 1983 by Rick Prelinger. Over the next twenty years, it grew into a collection of over 60,000 ‘ephemeral films’ (advertising, educational, industrial, and amateur films). In 2002 the collection was acquired by the Library of Congress. Prelinger Archives goal remains to collect, preserve, and facilitate access to films of historic significance that haven't been collected elsewhere. Included are films produced by and for many hundreds of important US corporations, nonprofit organisations, trade associations, community and interest groups, and educational institutions. Curated and produced by AV Festival 10.